Do you ever wish that you could sew like a professional? 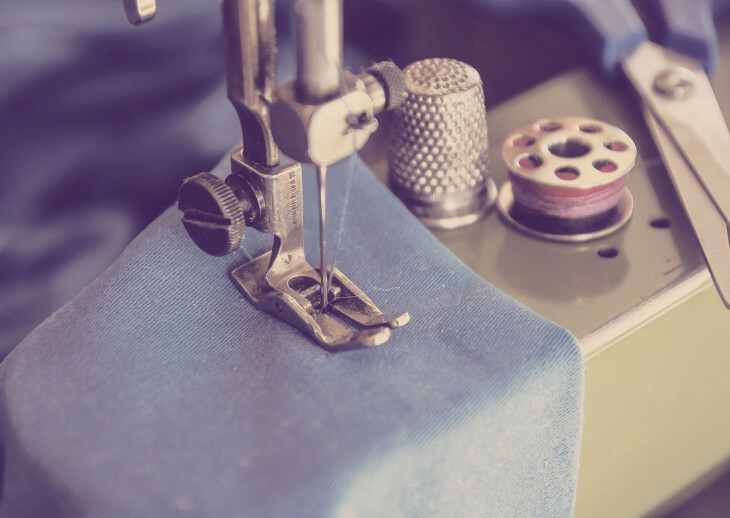 Though many of the basics are the same, professional sewing is really quite different from the sewing most people do at home. Both professionals and crafters can have advanced skills and produce some really stunning pieces, but the thing that really sets professionals apart from the rest of the pack is finish and speed. I’m going to reveal some of the tricks they use to work quickly without sacrificing quality. Keep reading, you might be surprised to learn their secrets. 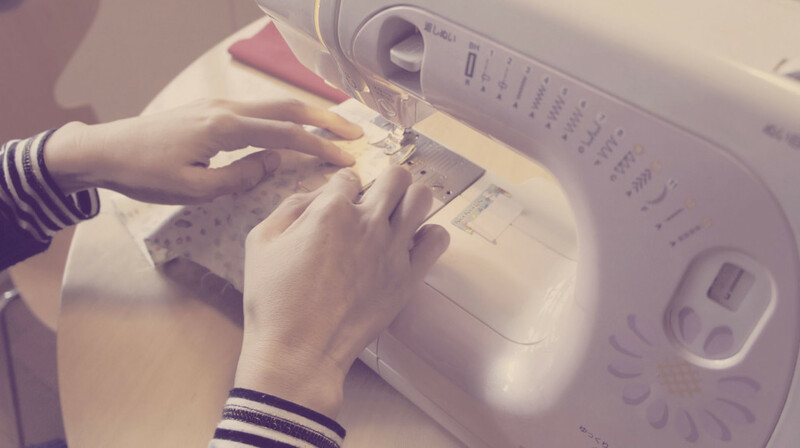 You may notice that you often spend more time preparing your material than actually sewing. Professionals rarely take the time to mark off patterns. Instead, use weights to hold the patterns in place right on top of the fabric as they make quick but precise cuts. Some professional designers don’t even use patterns at all! Tilly and the Buttons shares this professional trick for speeding up the process: skip pinning all together! In addition to being time-consuming, pins can actually distort hemlines. A great way to practice this trick is to try sewing in a zipper or inset sleeve without pins. The freedom can be truly liberating. Though professionals don’t waste time marking patterns or placing pins, they don’t go in entirely blind. Most have mastered the art of using creases as guides. It only take a second to pinch or press in a nice crease where your seam belongs. A trick echoed by Sarai Mitnick of Colette, is to perform like actions together. For example, do all of your cutting at once. 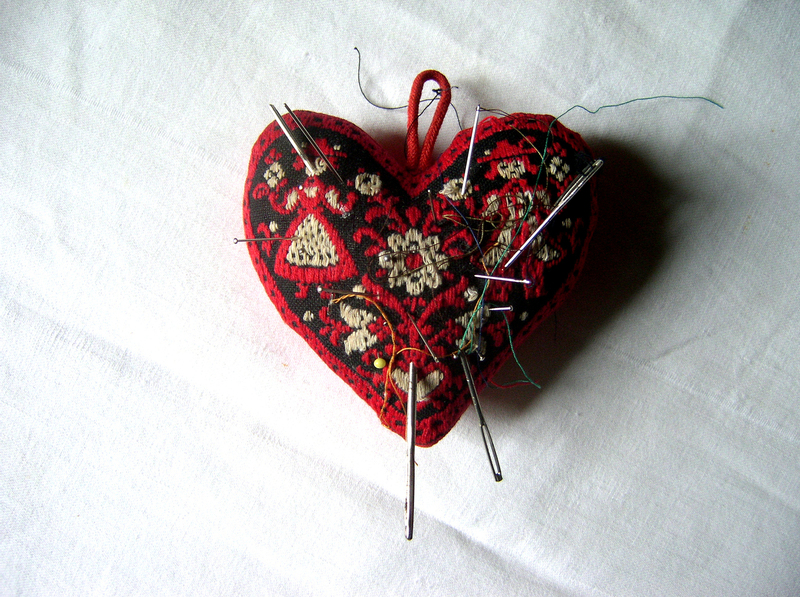 You can also practice sewing continuously by butting pieces end-to-end. Once you are finished stitching, you can cut them apart and start your pressing!! Though skipping steps is the key to speed, quality should also be taken into consideration. Professionals never skimp on stay stitching because they know it is the only way to keep curves appropriately curvy, and to make your product more durable. 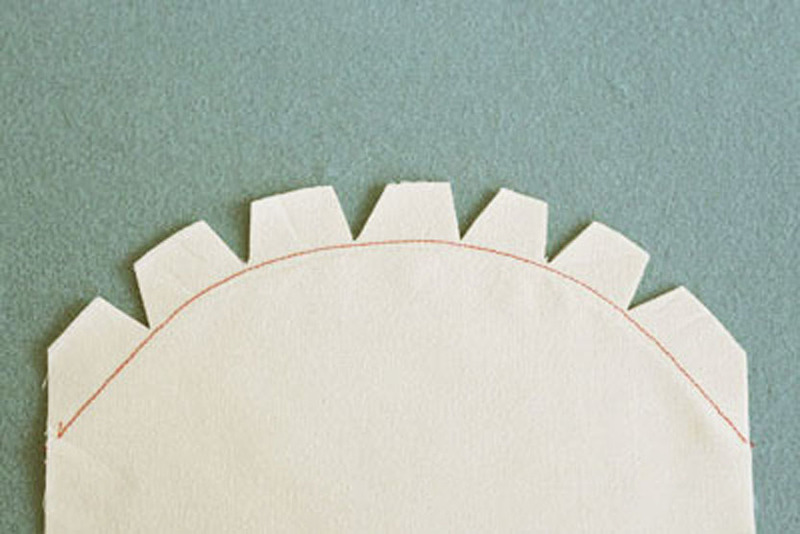 Do your stay stitching as soon as you finish cutting to help your fabric maintain the perfect shape without distorting. Irons are priceless when it comes to pressing open seams and shaping darts. Did you know you can also use pure steam to shape your fabric? Directing a blast of steam toward your fabric allows you to manipulate the material to roll your collars or shoulders perfectly every time…nifty!! Sometimes the thing that sets the professional apart isn’t skill or speed, but knowledge. You probably already know the value of finishing your seams to prevent unraveling to create a clean look. Professional sewers can glance at a fabric and know what type of seam finish is most appropriate. This is something you can learn from personal reading or experimentation. Or, you can always sign up for a class where you can learn directly from the professionals. You’ll sometimes find that your seams or hems can get tremendously bulky. To combat this unsightly problem, learn how to clip corners and curves diagonally and close to the seam. 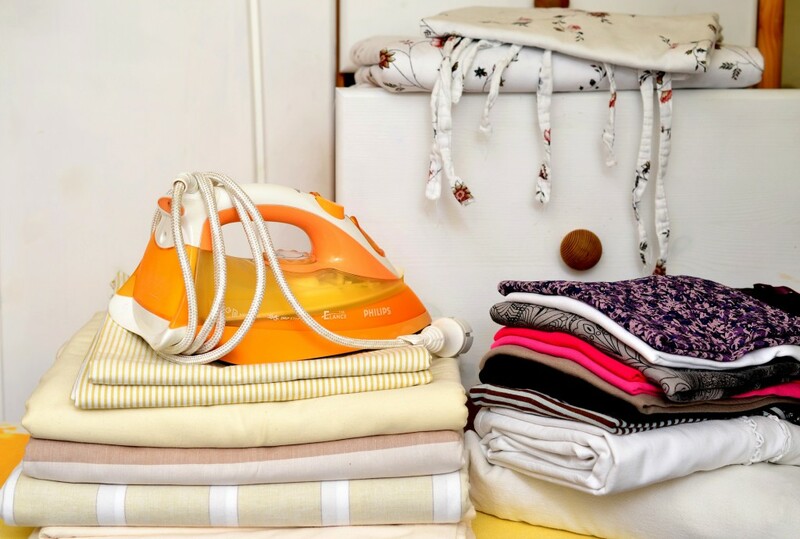 You can use this method to remove excess fabric, according to Angelina Williamson of Stitch and Boots, this will help you establish a crisper, cleaner appearance. Now here’s the biggest secret kept by professional sewers… they aren’t afraid to break the rules. 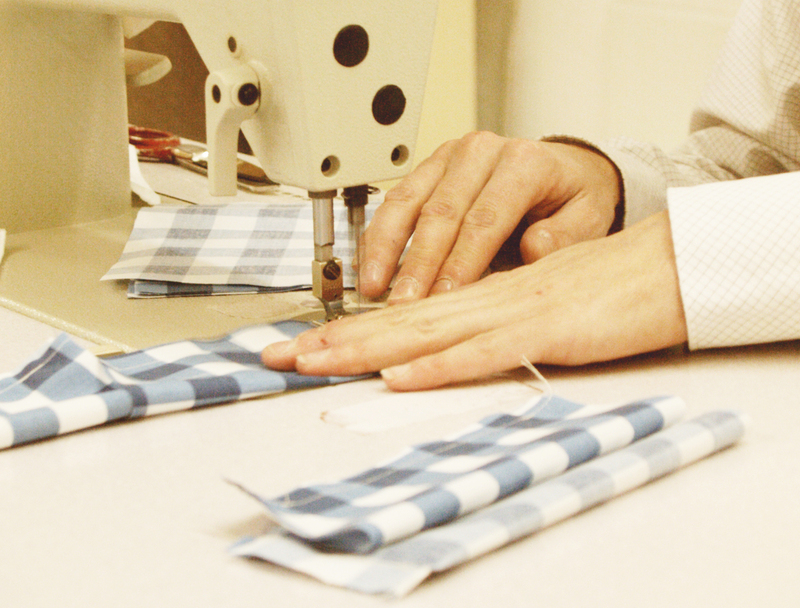 When you first started out, you were probably told the steps of careful marking, pinning and turning. These are all good learning tools, but as you have learned here, they aren’t always necessary. Don’t be scared to experiment and develop your own technique if something isn’t working for you. There is one last thing that allows professionals to stand out, and that is practice! While a home sewer might take their time to complete one project, professionals are constantly repeating the same steps, often juggling several pieces simultaneously. They are able to skip steps like pinning because they’ve sewn so many stitches that they can rely on instinct. With plenty of practice, you will find that you are able to work more quickly and efficiently too, while delivering more and more stunning results. Use the tricks I have shared here to sew like a professional. Are you nervous about skipping steps? Consider signing up for professional sewing lessons where you will learn to master all of these tricks, plus special stitching techniques and more. If you are just starting out, you may also want to check out my beginner’s guide here. Here at Offset Warehouse we’re always super excited to check out your handmade creations. So don’t forget to follow us on social media, and share your projects! Make sure you’re signed up to our monthly newsletter to receive more amazing blog posts from us. Please do tweet this article with the links below and throughout.